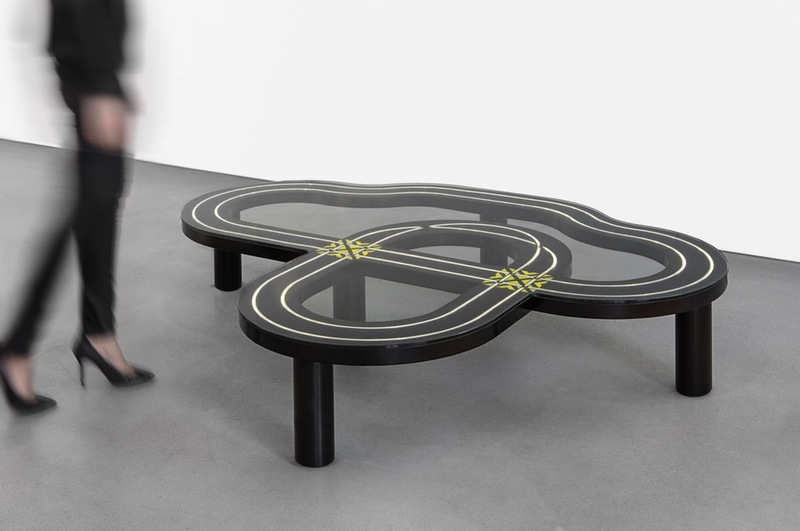 The Track Table series is part of a larger body of work focusing on the concept of ‘Play’ as a vehicle for creativity. The German philosopher G.W Leibniz founded an Akademie of Playing in Hannover in 1700. He was convinced that scientific learning and real discovery comes out of playfulness. Maybe playing without rules or pressure is at the core of creativity and hence the process of making art/design. 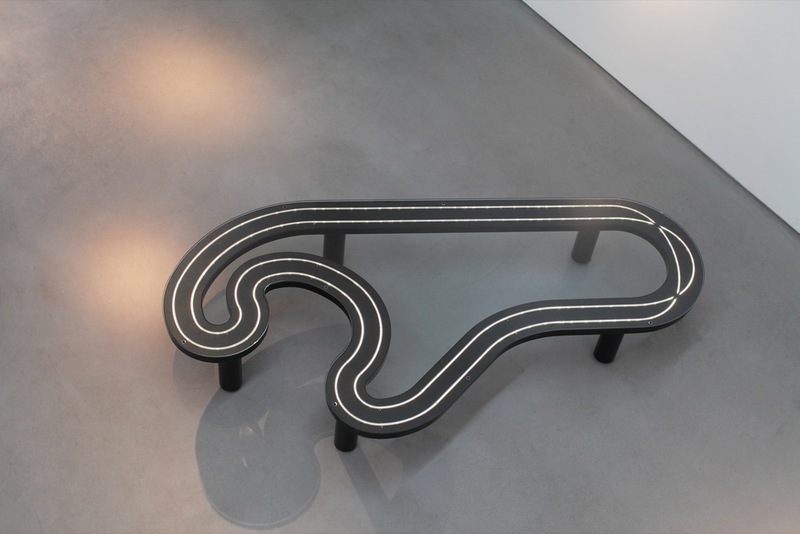 The Track Tables utilize the iconic modular slot car racing system first launched in the 1950’s in Britain. 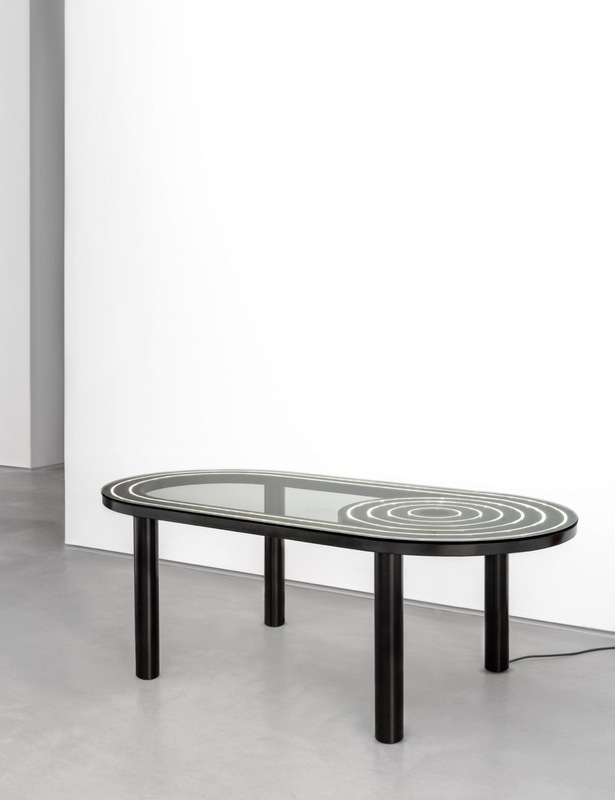 The three individual table shapes are governed and controlled by this modular system. 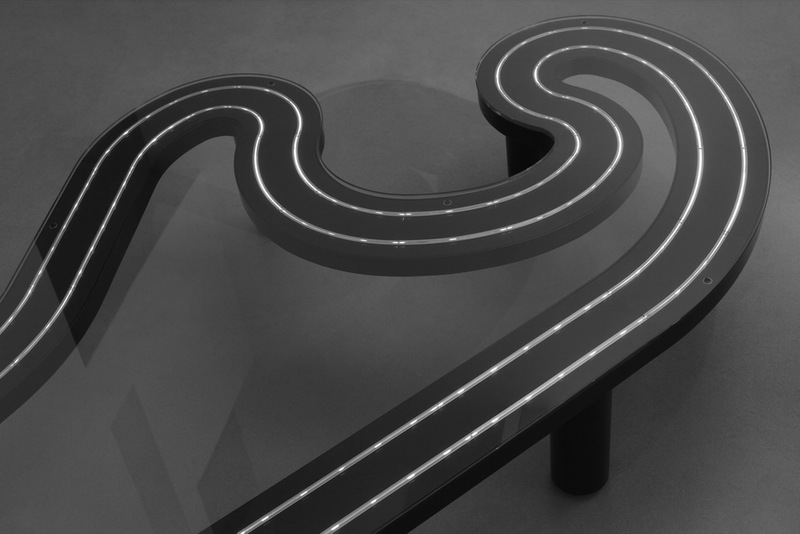 By attaching one track shape to the next, the shape transforms like a drawing until the end piece accurately meets the first and the drawing is eventually complete. 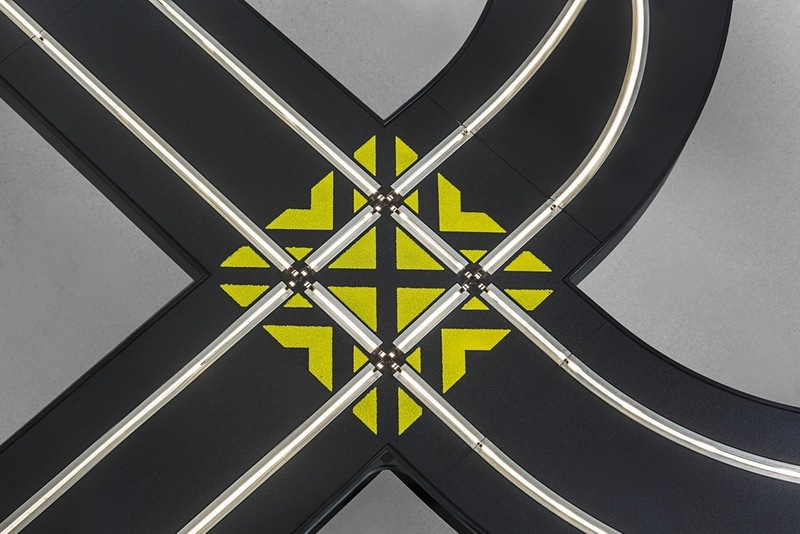 The track is supported by a number of simple tubular legs, which reference motorway and flyover architecture and the ever-growing road systems throughout the world. The legs are interchangeable so that each individual shape can be used as a desk height table or a low coffee table depending on requirements. 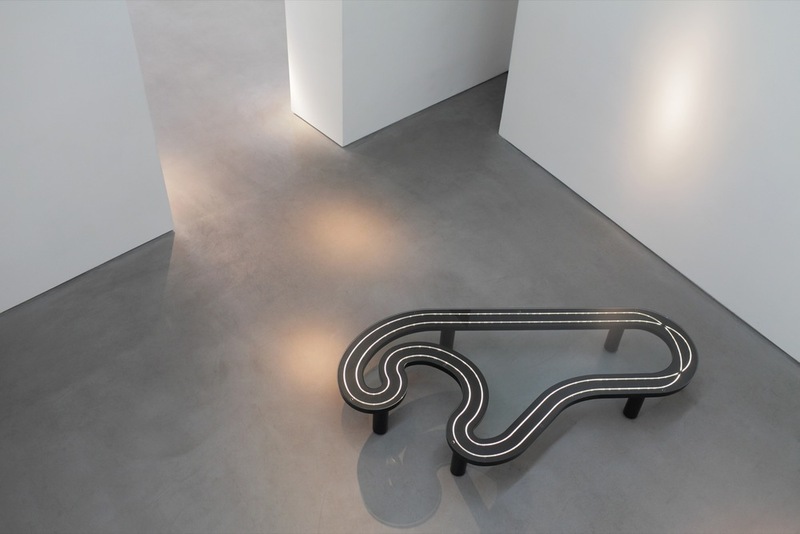 Within the metal slots lie ribbons of LED lights, which illuminate these channels of energy from which the toy cars receive electricity in order to be powered along the track. 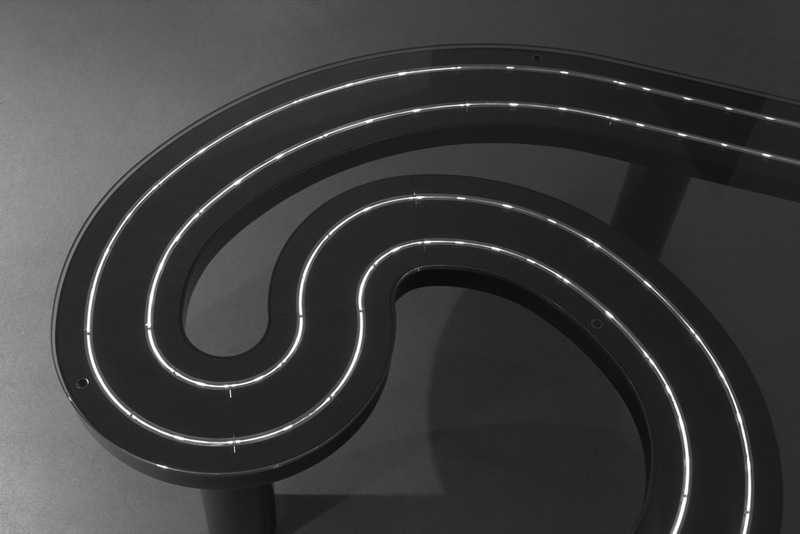 By illuminating the track slots the shape of each table is emphasized adding dynamism and speed to the design. 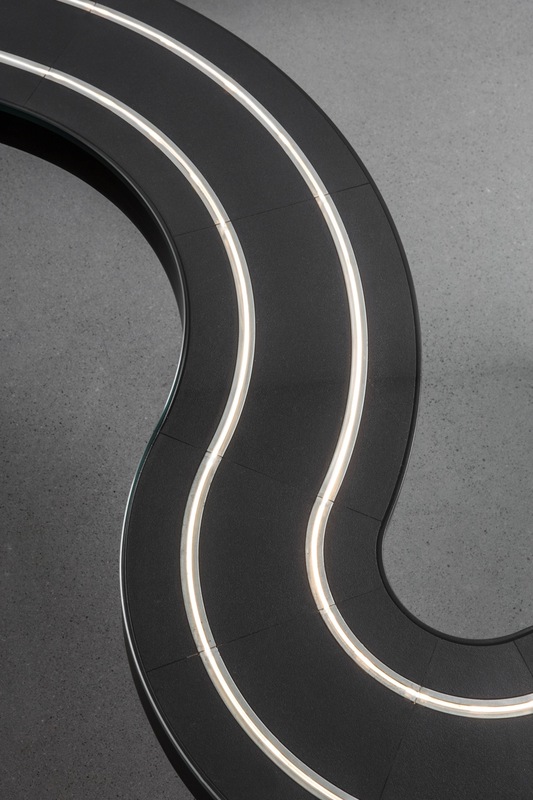 On each track table, a panel of toughened glass fits neatly over the shape using the engineered strength of the track structure as architecture to straddle the void within the shape.